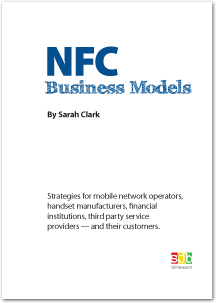 NFC Business Models set out the tasks involved in creating a commercially successful NFC infrastructure and provided readers with the latest thinking in terms of both the strategies available and the most likely routes to success. This landmark research report gave detailed guidance on the lessons learned to date, the questions that needed to be addressed as you formulated your plans and the options available for mobile network operators, handset manufacturers, financial institutions, industry suppliers and others looking to build new revenues from the provision of NFC services. Despite its age, NFC Business Models contains many lessons that can still be applied to advantage by businesses introducing mobile wallet services today — and provides unique insight into how and why it has taken so much longer than expected for mobile payments to take off. This 170-page report is available free of charge to NFC World Knowledge Centre members (PDF format, 1.9MB).